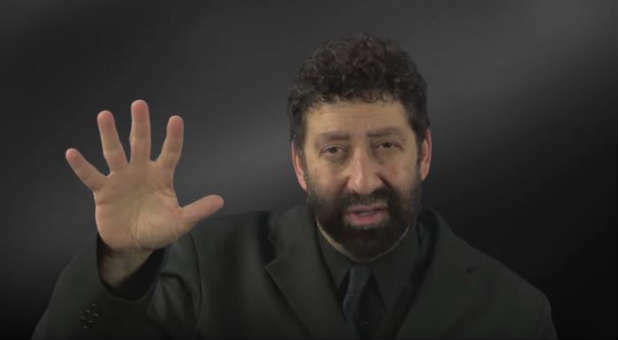 SHINING BRIGHTER: Rabbi Jonathan Cahn, who addressed the UN Symposium on Peace, Reconciliation, Sustainable Development and Multi-Cultural Understanding. He said the world must do whatever it takes to protect the most persecuted peoples of the world. 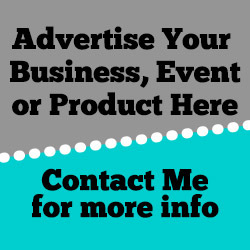 Picture courtesy of Charisma News. PORT OF CALL: This bridge in Vanguard Street, is used by volunteer teams of Routes to Roots to feed the homeless and destitute in the town. It has a healthy number of volunteers but many are retired people and no younger people are coming forward to replace them. A homeless lady in Poole High Street could not be helped by local takeaway businesses when I asked them to provide a hot drink for her. LIGHT is an active agent that transforms the world around it and acts as a force for good in times of darkness if only communities choose their freewill to use it. This is part of a message given by Jonathan Cahn, author of the Harbinger, who addressed the UN Symposium on Peace, Reconciliation, Sustainable Development and Multi-Cultural Understanding on 2 March. I raise this as I have been disturbed by a lack of compassion that permeated our behaviour and actions. Recently I tried to find a hot drink for a homeless woman outside the Sainsbury metro store at the top of Poole High Street at 10pm on a freezing Sunday February night. In the end, I had to give up as two take-aways and a near-by restaurant were not willing to help. Thankfully on another evening I was able to carry out on my initial promise. A friend who volunteers in the same town’s food bank has revealed that older volunteers for organisations such as his and the soup run are not being replaced with younger people and those who are the most vulnerable are potentially at risk if this is not resolved. I know of individuals who have filled out equality and diversity surveys are not informed about the suffering of minorities like Arameans, Assyrians, Chaldeans, Yazidis, Syriacs, Kurds and Druze Muslims in the Middle East, nor do they know anything about them. Why aren’t people told that gays, lesbians, single women, children, disabled individuals and Middle East minority refugees have had to flee migrant shelters in Europe as they have had their lives threatened? Where are the trendy hashtags gone viral, on-line petitions and organised demonstrations? Yes, Cahn is speaking as a Christian Jew, but isn’t what he saying relate to any of us who wants to change the course of indifference to those who are Middle East Christians but the sick, the homeless and the poor, the Kurds (being oppressed by the Turks), the Yazidis and other persecuted peoples. “Light is an active agent. It does not conform to its surroundings. So the light of this world must impact on this world and transform the world around it. “If we are the light of this world, we must minister to the needy of this world. We must give food to the hungry; drink to the thirsty; refuge to the stranger; clothing to the naked; healing to the sick and compassion to the prisoner. “The agenda of the light is to protect the defenceless and to stand against the darkness of evil. The light protect the weak of this world, the afflicted, the powerless, the children, the persecuted and the broken. We must speak the truth at all times – regardless of what is popular; what is fashionable or what is politically correct and regardless of political or pressure when it comes upon us; regardless of the opinion of the day and the regardless of the cost. “It is said in the book of Hebrews remember those in chains, as in chains we are with them, as the people of Messiah (Christians) must remember their brothers and sisters, who are bound in the chains of persecution. “Why is it that believers are being killed in our midst and our day and next to nothing is being done about it. Nobody can call themselves the Light of the World if they watch passively by the sidelines. “As we sit our couches and watch our television sets in our air-conditioned homes, they sit on the stone floors of prisons and we remember them not. They would say to us not ‘do not forget us in our suffering’. Do not forget us are our enemies come to take our lives. We must do whatever we can to protect them and save them. “In times of darkness, the shining of the light becomes even more critical. These are the days of our testing. We must not compromise and we must not fail. We must not appease evil or be intimidated by it. It is the candle that shines in the night that lights up the world.